Just a spin on my previous 'No. 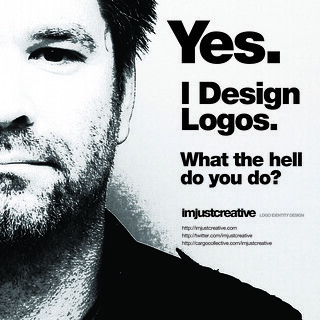 I don't design logos' poster. This one is based on a recently taken passport photo, which I have decided to use as a new profile picture for the likes of Twitter, FaceBook etc. Set in Helvetica, of course.